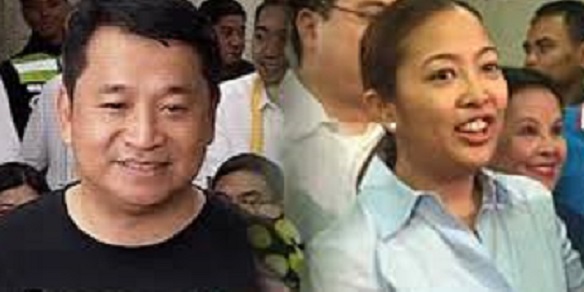 The once temporary mayor of Makati Romula “Kid” Peña might be under the scrutiny of now mayor Abby Binay but as long as results of the investigations are not yet submitted, mayor Abby will not have a concrete evidence yet on whether or not Peña ws the culprit in making the Makati services less efficient during his time. Rumors did said that some services already deteriorated even during Junjun Binay’s time – like the medical services wherein people would line up for their scheduled tests and ended up going back the next day – but we never know for sure if this is true if there are no basis. So the best thing to do is to wait for the investigation results before announcing any anomalies. According to the Inquirer: Mayor Binay noted that based on the recently released National Competitiveness Council’s (NCC) Cities and Municipalities Competitiveness Index, Makati slipped from third to fifth place in terms of government efficiency. “It is sad that dirty politics have derailed the painstaking efforts of the Binay administration to continuously improve the efficiency of government services,” Binay said in a statement. The mayor, however, lauded the fact that in NCC’s overall ranking of highly urbanized cities, Makati placed second while it was No. 1 in terms of economic dynamism, besting over 1,300 local government units.